Pistol Annies totally commanded the 2018 CMT Artists of the Year stage during their memorable performance of "Sugar Daddy." Check it out! 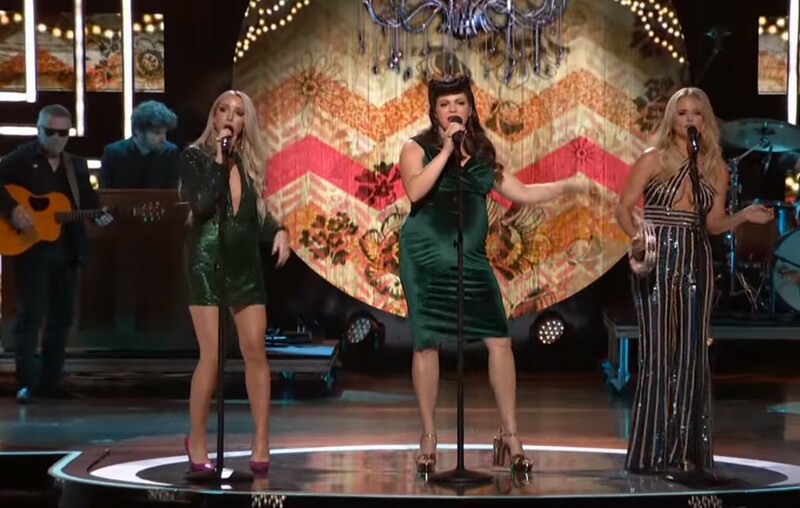 Country music trio Pistol Annies‘ “Sugar Daddy” feels like the follow-up to their past hit, “Hell on Heels.” During the 2018 CMT Artists of the Year ceremony, Miranda Lambert, Ashley Monroe, and Angaleena Presley took “Sugar Daddy” live and totally captivated the star-studded audience! “You get to see a little bit of our personalities in this song, and what we like in boys. It’s fun to play with your sexuality and the power that you have as a woman,” Pistol Annies shared on Instagram about the song. This bluesy track is featured on the group’s highly-anticipated third studio album, Interstate Gospel, which is set to be released on November 2nd! Got a boat on the dock, ’cause a-why not? These ladies and their team have a lot of fun together and we’re so happy they are back! Share this performance with other Pistol Annies fans!